I know blueberries are one of those superfoods that are supposed to be so good for you but I have to be honest, I’m not a big blueberry fan. 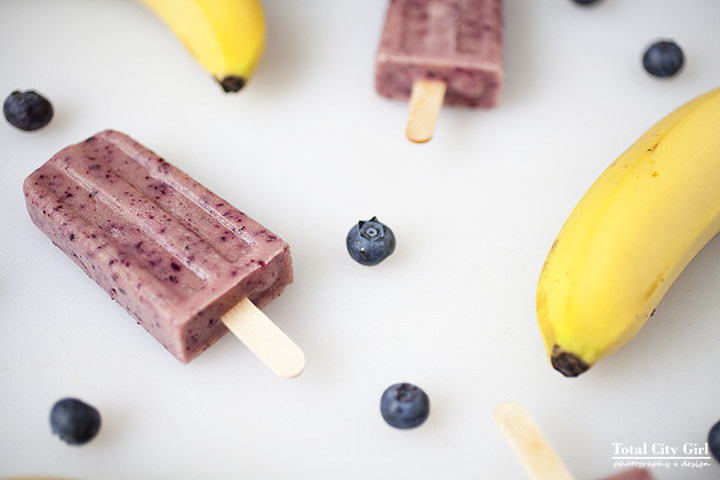 Stick them in a smoothie however and that’s a whole other story! On weekday mornings I try to make a smoothie as much as possible. It’s definitely my breakfast of choice since it’s so quick and easy to make. One of my go to smoothies is a blueberry banana smoothie. I just blend together 1 very ripe banana, a cup of fresh cleaned blueberries, a cup of orange juice and some ice. The riper the banana, the sweeter and more flavorful the smoothie will be. If you want to substitute milk for juice, knock yourself out. 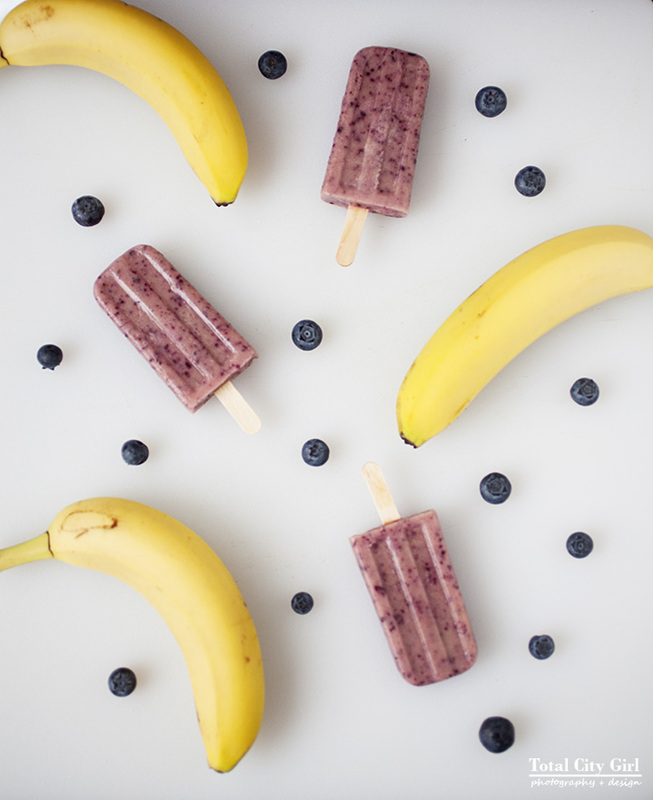 Now that it’s getting warmer out and summer is quickly approaching I thought it would be fun to make ice pops from the smoothies. 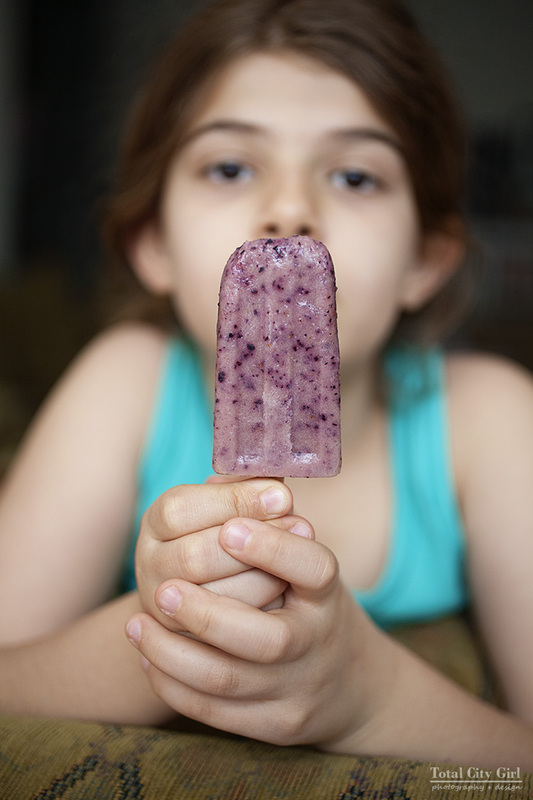 My girls love eating ice pops so I thought this would be a healthier alternative or at least addition to their ice pop repertoire. 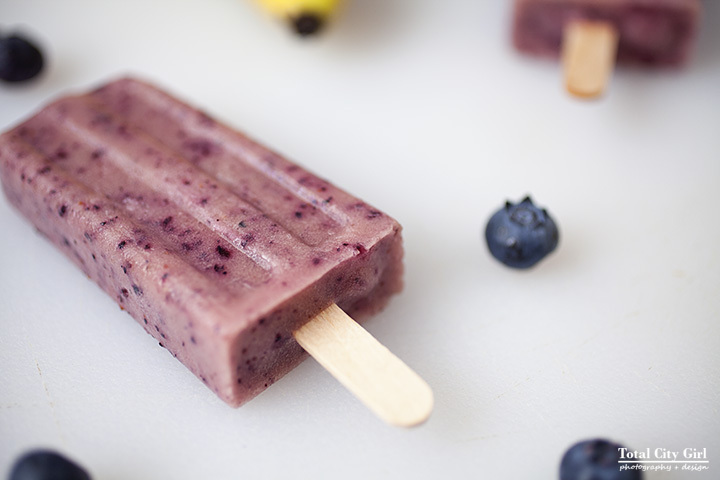 If you have ice pop molds, just fill them with the smoothie and stick a Popsicle stick in the middle for the handle. If you don’t have Popsicle sticks you can try using a plastic spoon as the handle. 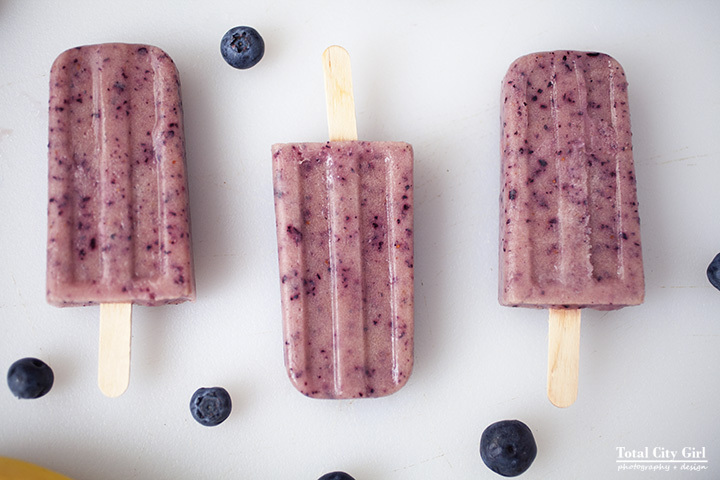 If you don’t have ice pop molds, try making smoothie ice cubes. My younger daughter really liked it! 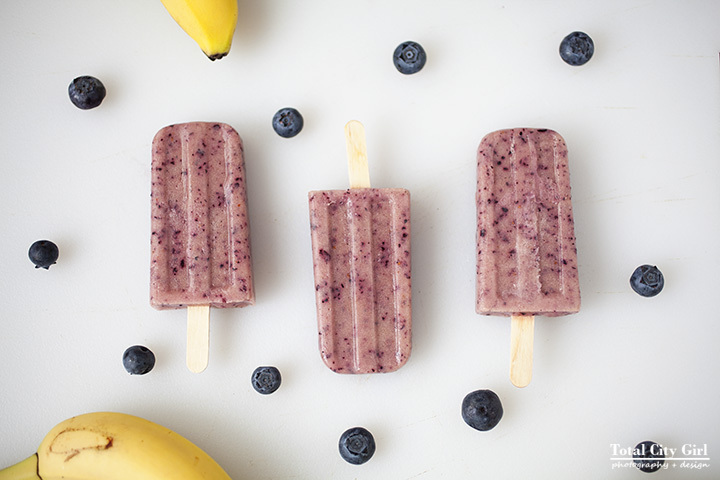 What frozen treats do you like to eat in the summer? That looks refreshing. Best for the summer season. I’d love to try this one at home. Thanks for sharing! It’s really good! Let me know if you try it.